IF you attended elementary school in Edmonton, then you’ve most likely taken a field trip to the TELUS World of Science at some point. 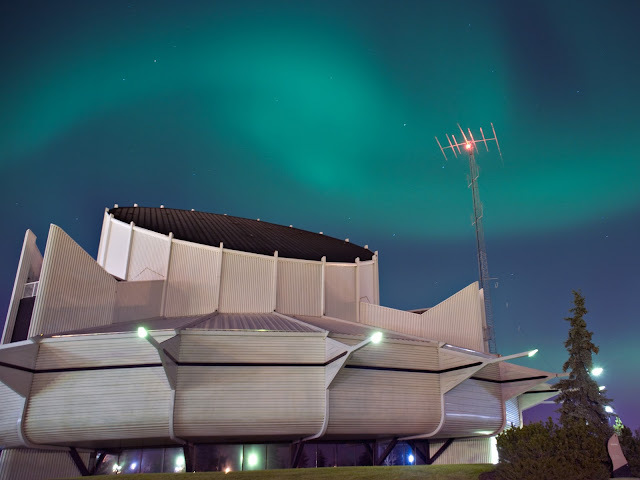 Although, back then it was called the Edmonton Space Science Centre (or the Odyssium from 2001-05) when it first opened on Canada Day of 1984, as a replacement for the aging Queen Elizabeth Planetarium. It was like nothing else I had experienced before, as a young child fascinated with planets and outer space. I remember sitting back and staring up at the Milky Way illuminating from the giant domed screen of the Margaret Zeidler Star Theatre, transfixed by the sparkling stars and hypnotized by the booming voice that narrated our journey through the solar system. The TELUS World of Science in Edmonton. As a child, there was nothing more effective than the Space Science Centre to educate me and my classmates about...well, space and science! These days, the TWOS does so much more than just that. Operated by the nonprofit Edmonton Space & Science Foundation, TWOS has expanded over the years to include a 275-seat IMAX Theatre, the DOW Computer & Robotics Labs, the Space, Health & Environment Galleries, and an outdoor observatory equipped with seven telescopes.